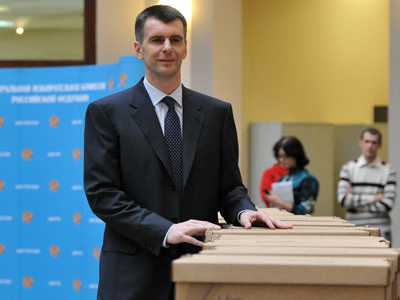 Businessman Mikhail Prokhorov, who is running for the Russian presidency, has submitted an income report showing he made 115 billion rubles, or $3.12 billion, over the past four years. 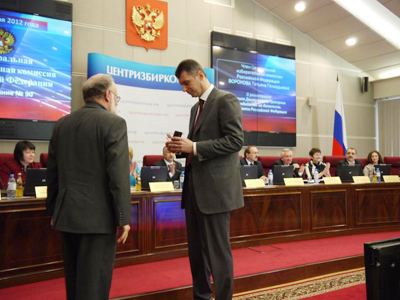 The information about Prokhorov’s personal income was disclosed by Russian media on Thursday, the day after the billionaire was officially registered as a candidate in the March 4 presidential race. 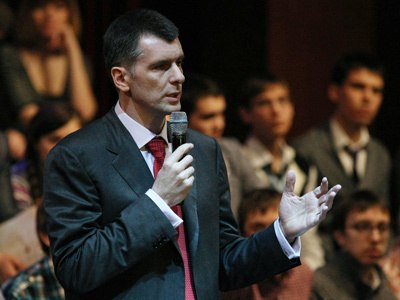 According to the official income report, Prokhorov made 115.1 billion rubles between 2007 and 2010. The majority of this sum – 112.5 billion rubles – was Prokhorov’s share in a joint business with another Russian billionaire, Vladimir Potanin. 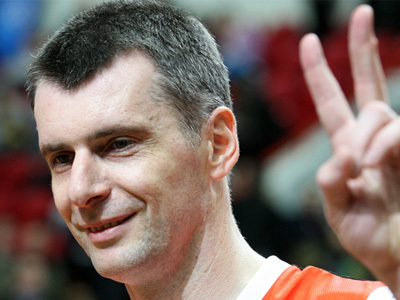 Prokhorov received the sum in cash when the two decided to end their cooperation in 2008. In 2010, Prokhorov made a mere 1.8 billion rubles, which includes interest on securities and bank deposits, and also his salary in the Oneksim industrial holding. That year, Prokhorov also received 30,000 rubles (about $1,000) as a fee for his article in the Russkiy Pioner magazine (the magazine belongs to Prokhorov himself). Prokhorov also declared real estate – a 2,000-square-meter home in a Moscow suburb, and three apartments in Moscow with a total floor space of almost 1,000 square meters. The candidate also declared three parking lots – but strangely, no cars. Prokhorov’s representative stresses that the businessman declared only the property in his direct possession, as provided by the law on elections, so his actual wealth could be even greater. The other presidential candidates’ official declared income is rather more modest. Vladimir Zhirinovsky of the Liberal Democratic Party declared 22 million rubles, Prime Minister Vladimir Putin 17.7 million, Sergey Mironov of Fair Russia just over 9 million rubles, and Communist leader Gennady Zyuganov 7.6 million rubles over the same period.